Cómpeta is a small town town and municipality in the comarca of Axarquía 20 minutes inland from the coast by car (Torrox Costa). 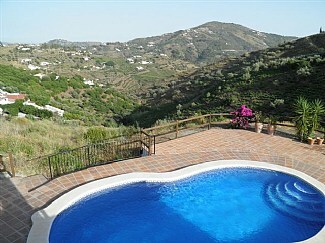 It is about 30 minutes to Nerja and 45 minutes to Málaga and the Málaga-Costa del Sol airport. Its population is just less than 4000. It has a full range of local shops, two supermarkets and banks, numerous restaurants and bars. Its weekly market is always very popular. There are ample leisure facilities with a small children’s park, and an Olympic size indoor pool with a gymnasium. If you are looking for a birdwatching holiday Cómpeta is a fantastic option. Andalucía, in general, is a birdwatcher’s paradise and attracts ornithologists throughout the year. The best time of the year, however, is during the migration season. With forests, native pine woods, natural parks and rich, lush, green countryside spreading for miles on end, it’s hardly surprising that this region of Spain is a haven for wildlife and home to a huge variety of species of birds. You can find a host of birds from golden oriole, bee-eater, swift, house martin, green woodpecker, eagle, little owl, stone curlew to the great spotted cuckoo, plus many other species. More information available, please ask Themed Holiday Ideas for more details. This is also an ideal area for golf, cycling, walking and more! Contact for more information. 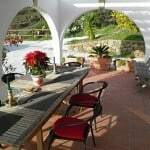 Villa Martha is a short distance to the village of Cómpeta, in a very tranquil area, great for relaxing or as a base to explore the surrounding countryside and local Spanish villages. There are also a variety of walks in and around the town of Cómpeta. Villa Martha has a large private pool with shallow steps and a depth of 1.2m-1.8m. A lovely sun terrace surrounds the pool, and there are 6 sun loungers and outside table and chairs for alfresco dining. There is also a roof sun terrace and BBQ. The terrace also offers the shade of a pergola. 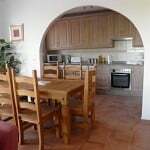 Inside are 3 bedrooms all en-suite, the kitchen is fully fitted including dishwasher, microwave, fridge/freezer and washing machine and kettle. The main living room has two sofas, dining table and chairs, TV and playstation. DVD, SkyTV box (accessible by card holder). Situated in rural setting of 4900 sq m plot, free form swimming pool 8.5m x 4.5m private, BBQ, 6 sun loungers and outside dining table and chairs. There is also a roof terrace for sunbathing and pergola for some shade.